William Thomas J. NELSON was born on 30 Jun 1867 in , , Arkansas. He died on 7 Mar 1943 in Anadarko, Caddo, Oklahoma. William married Emmer "Sallie" ELLIOTT on 8 Jul 1888. Emmer "Sallie" ELLIOTT [Parents] was born on 20 May 1874 in , , Missouri. She died on 31 May 1940 in Anadarko, Caddo, Oklahoma. 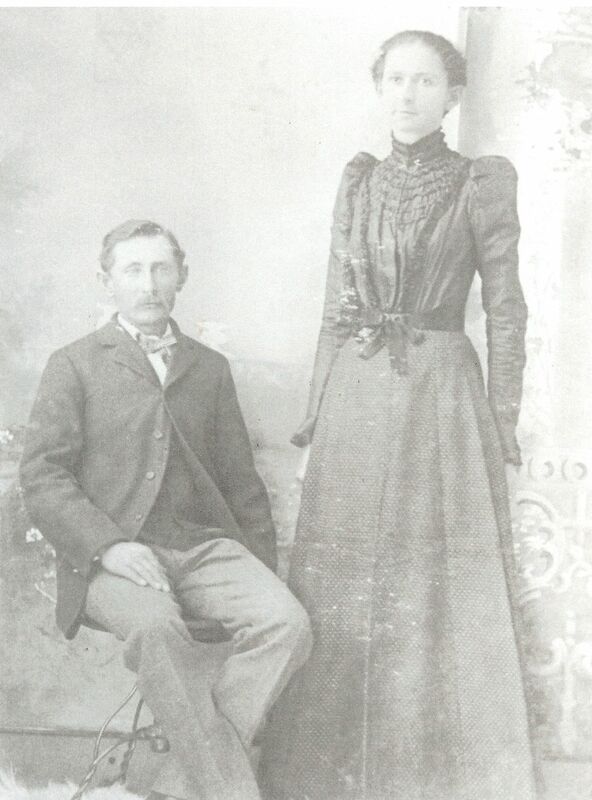 Emmer married William Thomas J. NELSON on 8 Jul 1888. William Crockett Martin ELLIOTT [Parents] was born in 1838 in , , Virginia. He died on 14 May 1875 in Dexter, Cooke, Texas. William married Amanda Susan "Manda" COCHRAN on 20 May 1866 in Gainsville, Cooke, Texas. Amanda Susan "Manda" COCHRAN [Parents] was born on 2 Apr 1850 in Dexter, Cooke, Texas. She died on 8 Feb 1921 in El Reno, Canadian, Oklahoma. She was buried in El Reno Cemetery, El Reno, Canadian, Oklahoma. Amanda married William Crockett Martin ELLIOTT on 20 May 1866 in Gainsville, Cooke, Texas. F i Lucinda E. ELLIOTT was born on 7 Sep 1867. She died on 24 Feb 1887. 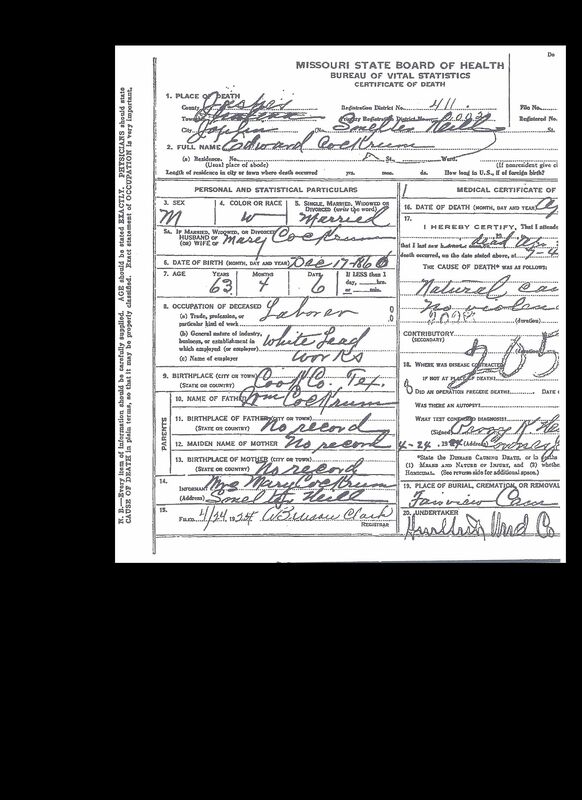 M ii James Henry "Jim" ELLIOTT was born on 8 Feb 1869. He died on 13 Aug 1936. F iii Virginia Elizabeth ELLIOTT was born on 1 Nov 1870. She died on 8 Oct 1952. M iv Martin Curtis ELLIOTT was born in Aug 1871. He died on 14 Feb 1907. Jannie ELLIOTT was born in 1873 in , , Texas. F vi Emmer "Sallie" ELLIOTT was born on 20 May 1874. She died on 31 May 1940. Emma ELLIOTT was born in 1876 in , , Texas. She died in 1877. 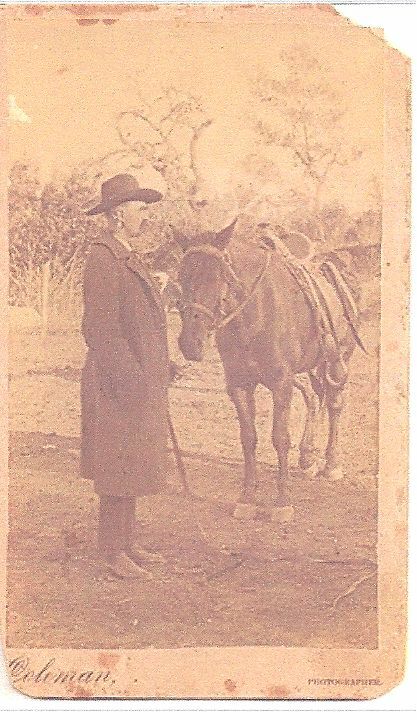 Edward "Edd" COCHRAN [Parents] was born on 17 Dec 1860 in , Cooke, Texas. He died on 23 Apr 1924 in Joplin, Jasper, Missouri. Edward married Joycie F. MARTIN. Joycie F. MARTIN was born on 18 Aug 1855 in Granby, Newton, Missouri. She died on 2 Dec 1920 in Joplin, Jasper, Missouri. Joycie married Edward "Edd" COCHRAN. M i Oscar William COCHRAN was born in 1876. He died on 30 Jul 1900. Preston COCHRAN was born about 1879. Oscar William COCHRAN [Parents] was born in 1876. He died on 30 Jul 1900 in Joplin, Jasper, Missouri. Oscar married Sophronia Beatrice SMITH on 25 Oct 1895 in Joplin, Jasper, Missouri. Sophronia Beatrice SMITH was born on 21 Mar 1876 in Joplin, Jasper, Missouri. She died on 11 Dec 1967 in Modesto, Stanislaus, California. Sophronia married Oscar William COCHRAN on 25 Oct 1895 in Joplin, Jasper, Missouri. F i Lillian Mamy COCHRAN was born on 21 Oct 1897. She died before 1991. Charles Jefferson ROWLAND was born on 5 Oct 1881 in Ida, Cleburne, Arkansas. He died in 1961 in Santa Rosa, Sonoma, California. 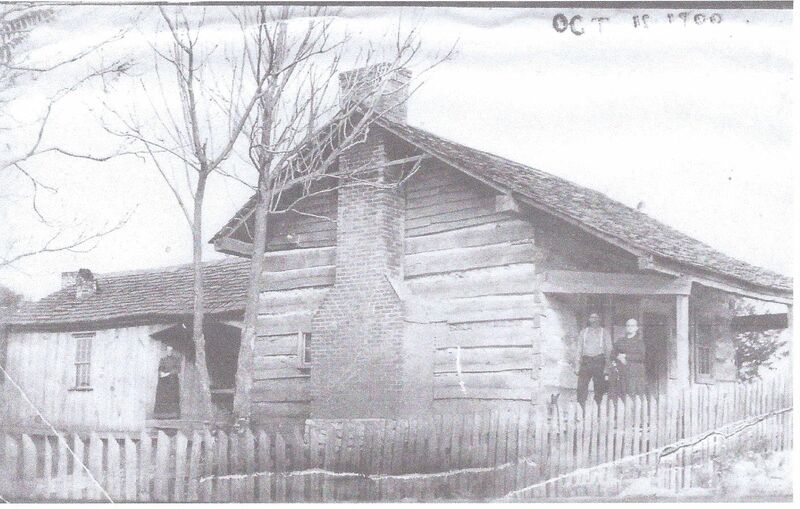 Charles married Lillian Mamy COCHRAN on 2 Feb 1914 in Liberty, Logan, Arkansas. Lillian Mamy COCHRAN [Parents] was born on 21 Oct 1897 in Granby, Newton, Missouri. She died before 1991 in Modesto, Stanislaus, California. Lillian married Charles Jefferson ROWLAND on 2 Feb 1914 in Liberty, Logan, Arkansas. Colbert Tull JONES [Parents] was born on 22 Oct 1877 in Liberty, Cape Girardeau, Missouri. He died on 2 Jan 1911 in Jackson, Cape Girardeau, Missouri. He was buried in Stroderville Cemetery, Whitewater, Cape Girardeau, Missouri. Colbert married Maria Sophia "Mary" RAMIN on 27 Apr 1904 in Jackson, Cape Girardeau, Missouir. Maria Sophia "Mary" RAMIN [Parents] was born on 17 Feb 1883 in St. Claire, St. Louis, Missouri. She died on 1 Jun 1968 in Cape Girardeau, Cape Girardeau, Missouri. She was buried in Stroderville Cemetery, Whitewater, Cape Girardeau, Missouri. Maria married Colbert Tull JONES on 27 Apr 1904 in Jackson, Cape Girardeau, Missouir. Minnie Rowena JONES was born on 5 Jun 1903 in Crump, Cape Girardeau, Missouri. She died on 23 Sep 1963 in Cape Girardeau, Cape Girardeau, Missouri. M ii Lester Colbert JONES was born on 24 Mar 1905. He died on 21 Sep 1977. M iii William Louis "Bill" JONES was born on 18 Aug 1907. He died on 16 Nov 1983. M iv Herman Richard JONES "Sr" was born on 29 Sep 1910. He died on 18 Oct 1990. 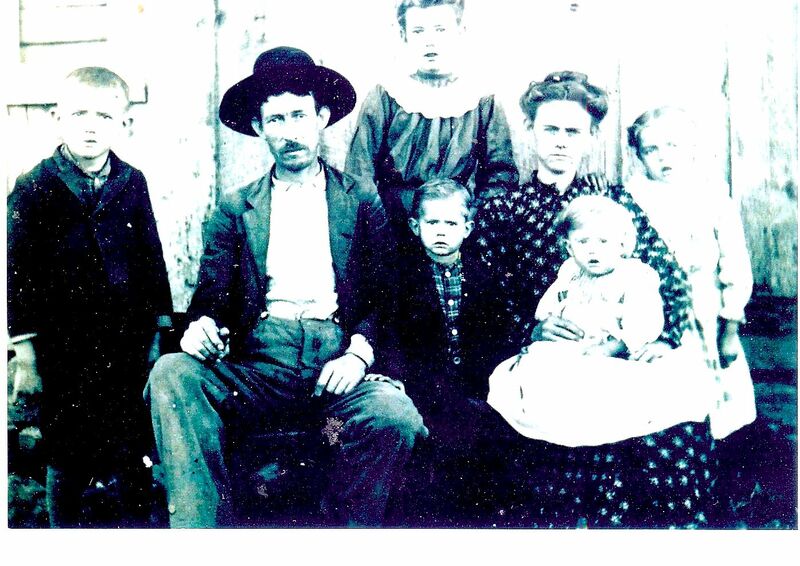 Charles William "Charley" JONES [Parents] was born on 18 Aug 1866 in , , South Carolina. He died on 8 Mar 1944 in Granbury, Hood, Texas. Charles married Lola Lee UMPHRESS in 1893. Lola Lee UMPHRESS [Parents] was born on 11 Sep 1873 in Dallas, Dallas, Texas. She died on 6 Feb 1962 in Granbury, Hood, Texas. Lola married Charles William "Charley" JONES in 1893. F i Margaret Sue JONES was born on 3 Nov 1893. She died on 6 Nov 1973. F ii Martha Lois JONES was born on 25 Nov 1894. She died in Dec 1982. M iii Charley Hood JONES was born on 12 Dec 1895. He died on 5 Oct 1918. Oscar Earl JONES was born on 30 Jul 1897 in Granbury, Hood, Texas. He died on 1 Jul 1911 in Granbury, Hood, Texas. F v Iola Marie JONES was born on 5 Mar 1900. She died on 28 Oct 1975. F vi Jewel Ophella JONES was born on 23 Oct 1901. She died on 27 Jan 1979. M vii John Erastus JONES was born on 12 Sep 1904. He died on 12 Jan 1976. M viii Auzie Olen "Mace" JONES was born on 28 May 1906. He died on 25 Jun 1986. George Burdett JONES was born on 5 Mar 1908 in Granbury, Hood, Texas. He died on 28 Dec 1908 in Granbury, Hood, Texas. F x Coy Clara "Jake" JONES was born on 30 Aug 1909. She died on 11 Jul 2001. Troy Earl EVERIDGE [Parents] was born on 25 Feb 1907 in Mountain View, Stone, Arkansas. He died on 20 Nov 1986 in Granbury, Hood, Texas. Troy married Coy Clara "Jake" JONES on 26 Dec 1928 in Granbury, Hood, Texas. Coy Clara "Jake" JONES [Parents] was born on 30 Aug 1909 in Granbury, Hood, Texas. She died on 11 Jul 2001 in Granbury, Hood, Texas. Coy married Troy Earl EVERIDGE on 26 Dec 1928 in Granbury, Hood, Texas. F i Peggy Charlene EVERIDGE was born on 19 Feb 1930. She died on 6 Apr 1989. M ii John Loyd EVERIDGE was born on 25 Oct 1935. F iii Mary Nita EVERIDGE was born on 8 Jan 1939. Joseph Wiley CHENAULT [Parents] was born on 9 Feb 1875 in Dallas, Dallas, Texas. He died on 3 Jan 1941 in Dallas, Dallas, Texas. He was buried in Mills Cemetery, Garland, Dallas, Texas. Joseph married Nora Augusta MARTIN in 1899. Nora Augusta MARTIN [Parents] was born in Feb 1880 in , , Arkansas. She died in 1978 in , Dallas, Texas. She was buried in Mills or Garland Cemetery, Garland, Dallas, Texas. Nora married Joseph Wiley CHENAULT in 1899. PERRIGO, Marion Francis "Uncle Dud"
M i Elbert Crosby CHENAULT was born on 23 Oct 1899. He died on 12 Jul 1984. Herman Lesley CHENAULT was born in 13 Hab 1901 in , Dallas, Texas. He died on 13 Jan 1957 in Rowlett, Dallas, Texas. Catherine Jane CHENAULT was born on 20 Oct 1902 in , Dallas, Texas. Emma Lee CHENAULT was born on 11 May 1905 in , Dallas, Texas. She died on 24 Nov 1989 in , Dallas, Texas. Albert Frank CHENAULT was born on 26 Jan 1906 in Rowlett, Dallas, Texas. He died on 14 Nov 1967 in Rockwall, Rockwall, Texas. Thelma Lucille CHENAULT was born on 5 Jun 1912 in , Dallas, Texas. She died in Feb 1976 in , Dallas, Texas. Elbert Crosby CHENAULT [Parents] was born on 23 Oct 1899 in Dallas, Dallas, Texas. He died on 12 Jul 1984 in Dallas, Dallas, Texas. Elbert married Florence Estelle MC MAHAN. Florence Estelle MC MAHAN was born on 21 Nov 1900. She died on 23 Jul 1986 in Dallas, Dallas, Texas. Florence married Elbert Crosby CHENAULT. Genevieve CHENAULT was born on 23 Aug 1919. Bryan Elbert CHENAULT was born on 7 Sep 1924. Peggy Ruth CHENAULT was born on 9 Jul 1926. She died in 1998. Billie Joe CHENAULT was born on 7 Jun 1928.